Deposit Required to reserve - double capacity. Deposit Required to reserve - double capacity. Membership fee added. 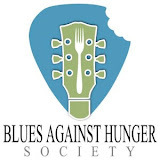 Blues Against Hunger Bash is 13 days of ALL BAJA! You will experience Baja and all her beauty, party Blues style with new and old friends, and help those in need in each city we enter. Includes 13 nights stay, 7 Blues parties, Tour T-shirt, awesome memories, endless families fed and helped, and More! This is a Car-a-van tour, we need to know if you are a Driver or Rider (gas expenses shared). We will help pair riders with drivers. We will reserve all the hotels and city tours for you (city tours are EXTRA). Members: $200 dlls/person to reserve each spot. Non-Members: $240 dlls/person to reserve each spot. Click the the Left or come to the BGLC office, email rachelpack@bglclub.com, or call 686-230-9933. VERY IMPORTANT: Deposit Required by Jan 15 (50% Deposit refund if canceled by Jan. 17, 2015.) Total Tour Fee Due: Jan. 26, 2015.